Over the past few decades, Monarch populations have decreased by over 90%. Yeah! 90%?!!? And it is happening for two reasons: weather and habitat. We can't control the weather, but we CAN control the availability of the right habitat for these guys. 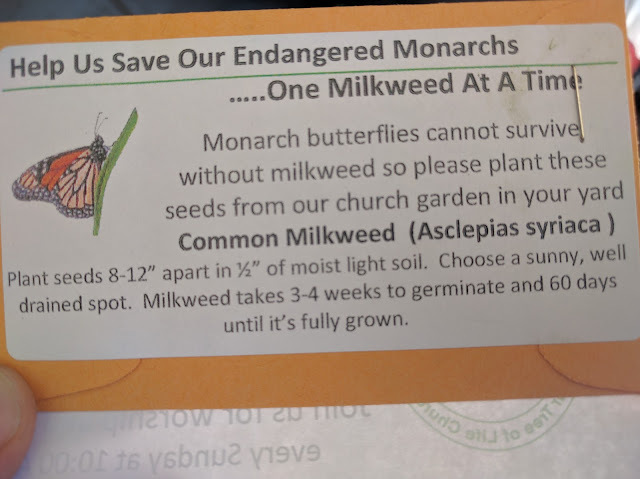 And the right habitat is all about Milkweed. 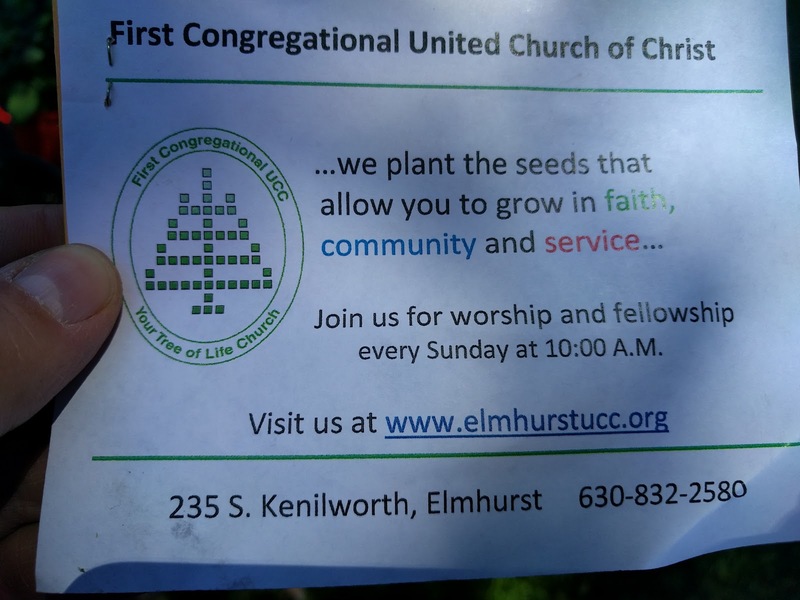 That means that backyard gardeners need to start thinking about dedicating a space for cultivating Milkweed and thanks to the First Congressional United Church in Elmhurst ( who was giving out these seeds at the parade), I'm going to do just that! But...now to decide: where? Do I do them in Elmhurst? Or at, potentially, our new place? If that new place ever happens?